Whether it’s a brand promotion, video, news update or even a meme, visual content rules the social media landscape. What has become so important is effectively conveying your brand on social media through images and video. In this quick-scroll world of social media, the visual face of your brand is often times the first thing your audience sees and possibly the one thing they remember. It’s hard to cut and paste an image and reuse it across all of your social networks unless you have a tool like Landscape. Sprout Social’s very own tool is free to use to resize, crop and scale social media image sizes. And along with our resizing tool, we’ve provided all the specific dimensions and a few quick tips to help you decide which image best fits each position. Easily reference this social media image sizes list in our always up-to-date Google Doc. Also bookmark our social media video specs and ad guide! Create your own social media images using these 39 free image creation tools! With 1.18 billion monthly active users, Facebook is the world’s largest social network. One bad image choice could spell the difference in attracting and engaging with this huge user base and being completely ignored. One thing to remember when choosing your photos is that there is a difference between how things will display on your personal timeline and how things will display in a user’s newsfeed. Make sure that you are choosing dimensions based on where you want the majority of viewers to see your image. Say cheese: this is going to be the photo representing you or your brand on Facebook. This is the square photo that appears on your timeline layered over your cover photo. Your profile picture will also appear when you post to other walls, comment on posts or when you’re searched with Facebook’s Open Graph (that’s a fancy term used for its search function). Facebook recently changed its Profile image for Business Pages to appear to the left side of the screen. The new look helps Facebook Business Pages stand out among personal accounts. However, the dimensions are the same, but the photo appears on the page slightly different. Business Page images will be cropped to fit a square. Your Facebook cover photo will only appear on your Facebook timeline, but it is a lot bigger than the profile picture, which gives you more freedom to choose something creative. Where your profile picture might be a good choice for a picture of you, or a brand logo, use this space to post something that speaks more toward you as an individual or as a brand. A shared image is one of the most common forms of sharing on Facebook. These images will always appear on your timeline, and ideally they will show up in most of your followers’ News Feeds — though with the decrease in organic reach, it’s unlikely that everyone will see your post. The more people engage with your post, the more likely it is that the rest of your followers and their followers will see that activity. Did your company turn its first profit? Hit its 10th, 20th or 100th employee? A milestone is a great time to create a highlighted image. This image is going to be housed on your personal timeline, but it is going to take up a great deal more space than a shared link or image, so it’s a good place to celebrate the victories that keep you going! Facebook Events help capture the attention of users and cut through the noise on Facebook. Reminders are sent to your audience and having a good space with an even better image is important. Make sure you have the right dimensions down for a Facebook Event cover photo. 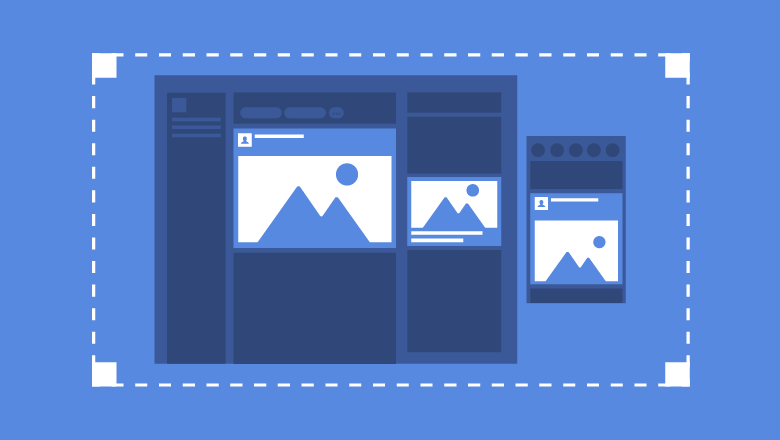 For all your Facebook Ad needs, check out this complete guide to every Facebook ad size! Find more information on the image sizes for Facebook, visit the Facebook Help Center. Don’t let its logo fool you–Twitter is not just for the birds. In fact, with 313 million monthly active users, Twitter is one of the social media networks that your customers will most often use to discuss your brand. And recently, Twitter made some big changes to its overall layout. Your Twitter profile photo is the main image that represents you or your brand across the network. It’s going to be seen across the site in a number of places by a number of people so make sure it’s of the highest quality. Here’s the places your profile photo will be visible on the site. On Your Page: The largest display of your profile picture is on your homepage and can be viewed by your followers as well as individuals who stumble upon your page. In-Stream: A smaller version of your profile picture appears in a follower’s Twitter stream every time you Tweet. It also appears in the stream of your followers’ followers every time you’re Retweeted. Who to Follow: Your profile picture is also going to appear next to a link to your page in the “Who to follow” box. This is located directly to the right of your twitter stream. Choose a recognizable image here. Square Image recommended 400 x 400 pixels. Your header photo is the image that spans the top of your Twitter profile page. It’s quite a bit larger than your profile photo so make sure to save it at the highest resolution possible. Because you have more room to be creative with this picture and it will likely be the first thing your visitors see, make it something captivating. Twitter users can attach photos to any of their Tweets. Luckily, Twitter updated to no longer count characters against your Tweet limit. Uploaded photos will appear in your followers’ streams and the streams of their followers (if Retweeted). It’s important to note that Twitter may collapse your photo into a smaller version to fit in a user’s stream. Make sure Twitter displays the portion of the photo you want followers to see by setting the width of your image to fit the minimum requirements. Also, horizontally center your content so the most important elements of the image are visible in the collapsed version. Note that if you share a link with a featured image on Twitter, you have the option to display the image as part of a rich Twitter Card. The automatic rendering for a shared link will display the image slightly smaller than a standard in-stream photo, so if you want to optimize that featured image for Twitter, be sure the most important parts of the image are horizontally centered. If you do choose to go the Twitter Card route, you can preview the end result in Sprout’s Compose window before you publish. Find more information on in-stream photos at the Twitter Help Center. Instagram is one of the most popular photo-sharing social networks with more than 600 million users. It’s the best place to showcase your visual creativity. Instagram is based on visuals, which should be an indication of how important it is to follow these image size guidelines. Ensure your profile image is recognizable so users can find you even easier through search or explore. When someone goes to your page, they’ll be presented with all of your content arranged in rows of thumbnails. These smaller renditions of your images and videos will expand when clicked and include a place for people to comment. Instagram is all about the images and videos presented in your followers’ feed. In fact, Instagram higher resolution photos when taken from the native application. If you decided to upload a photo or video from any other device, the resolution will be much lower. 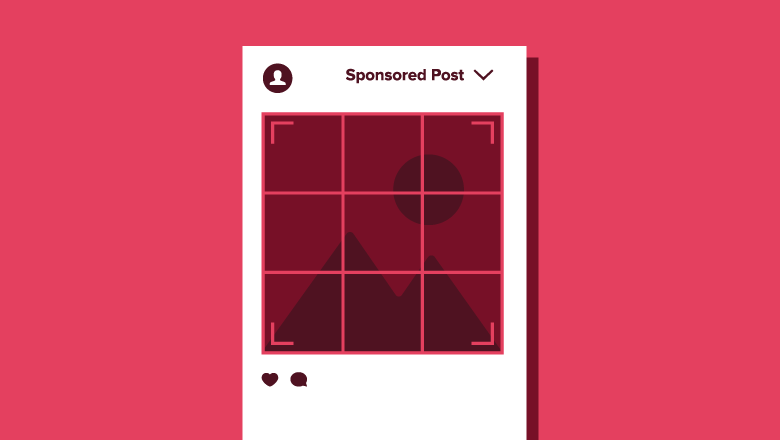 For those looking for more info on Instagram ad sizes, including video specs, check out this guide! With 467 million registered users, LinkedIn is the world’s largest professional network. Where other social networks may be good drivers of traffic and customers, LinkedIn is a great place for you to source great employees and to connect with other industry leaders. LinkedIn started using a new layout for personal profiles and kept the box logo with company pages (more on that below). However, the personal profile dimensions for LinkedIn is very straightforward. This is the main image that represents you on your personal profile. So anytime someone takes a look at your profile for some quick info, this is the prominent image that represents you. It’s important to get the size right. LinkedIn’s background image is a newer feature for your personal profile. It’s a little bit trickier to find something that really fits that space well, but if you get it right, your profile will look great. One of the two brand logos that you should be uploading to LinkedIn is the standard company logo. This is the bigger of the two and is going to show up right next to your brand name on your LinkedIn homepage. This image also appears in the “Companies you may want to follow” section. The more enticing the photo, the more likely you’ll gain followers. This is the brand image that shows up when your company is searched. Make sure you use something recognizable to your brand let customers know which company is yours. Unlike the personal background image, the company or standard business background image covers the entire top of the page. The image appears much larger than the personal dimensions, giving businesses a bit more space. The banner image is one of the newest and most prominent of the images that you can use on LinkedIn. This image appears when a user visits your brand’s homepage. Since this image is located on your homepage it’s likely the visitor is actively searching for your brand, so use this opportunity to reel them in with a great image. Finding great people to work for your company is one of the most important aspects of LinkedIn. You can have a separate tab solely based on career opportunities at your company. At the top of this page sits a banner that is bigger than any of the other images on LinkedIn. You can use this space to choose a picture that speaks to your company in order to attract some great potential employees. Find more information in the Linkedin Help Center. This size works for LinkedIn posts that share a photo or a link with image to a blog post or article. If you’re only sharing a photo, you have a bit more room for the maximum size if you prefer. Image types include: JPNG, JPG or GIF. Pinterest can be an amazing social tool for driving referral traffic to your site. This is mostly due to the fact that 90% of Pinterest pages are external links. So it’s very important for you to make sure you’re optimizing your Pinterest page regularly and using proper image sizes for your boards and pins. When setting up your Pinterest account you have the option to do so using Facebook, Twitter or email. If you choose Facebook or Twitter, Pinterest will pull in the profile image that you have set there. If you’re using email, or would prefer to use a different photo, you can do that too: just upload a square photograph (the larger the better) and Pinterest will resize it to fit. Like other social sites your profile picture on Pinterest should be something closely tied to you or your brand. Maximum 10 MB (wouldn’t allow me to upload anything larger). When adding a pin to your board, it’s important to remember that Pinterest puts a limit on the width of the image but not the length. This gives you the opportunity to add a photo that’s square or one that will scale to be even taller. Just remember to make sure you’re creating large images because they add more value, not just because you can. Creating boards is one of the most important things that you can do on Pinterest. It’s important to make sure you’re using an image that fits the size criteria perfectly. Not only is it important to choose a photo that is enticing to your audience, it’s important to choose one that’s relevant to that particular board. Find more information in the Pinterest Help Center. YouTube has more than 1 billion unique users every month and is available on hundreds of millions of devices. More than 1 million brands have already realized that YouTube is a great opportunity to reach their fan-base. YouTube allows you to select different profile image borders, but the dimensions stay the same. Ensure your YouTube has a profile image set up before you select your border. Spice up your YouTube channel with some “channel art.” When users click through your YouTube videos to your channel, some appealing images could entice them to stay on your page longer and watch more of your videos. There are a lot of different platforms and devices that users can stream YouTube on so it’s important that your brand has a photo optimized for each one. Tablet display: 1,855 x 423. Mobile display: 1,546 x 423. TV display: 2,560 x 1,440. Desktop: 2,560 x 423 (1,546 x 423 pixels are always visible). Flexible Area (may be visible): 507 pixels to the left and 507 pixels to the right of the safe area. Uploading your content to YouTube is the one of the most important parts of establishing your presence on the site. Videos can tell viewers something about you as a person, or it could show off something that your business might offer. Find more information in the YouTube Help Center. Tumblr is a customizable social site that lets users effortlessly share anything that they want. Due to the fact that almost everything is sharable, it isn’t hard to imagine that there are currently over 235 million blogs that have churned out more than 144.7 billion posts. Although there is a profile photo associated with your Tumblr page, it doesn’t appear very frequently throughout the site. It will appear as a thumbnail adjacent to your posts within a follower’s feed. The photo also appears next to the buttons to follow you on Tumblr when someone visits your page. Your profile photo will also appear somewhere on your Tumblr profile page. Whichever theme you choose is going to play a part in where the photo appears and its size. Some brands choose a large image while others keep them subtler. Just make sure to mind the minimum and pick an image that fits not only your brand, but that also fits your page’s layout. Minimum 128 x 128 pixels. Image types include: JPG, GIF, PNG or BMP. These are the posts that you send out to your followers that will also appear on your page. Due to the fact that Tumblr is so customizable and each theme is so different, not all people are going to want to post the same size photos. Dash image sizes max at 1,280 x 1,920, and show in feeds at 500 x 750. Animated GIFS must be under 3MB and max at 540 pixels (although some instances allow more width depending on GIF size).